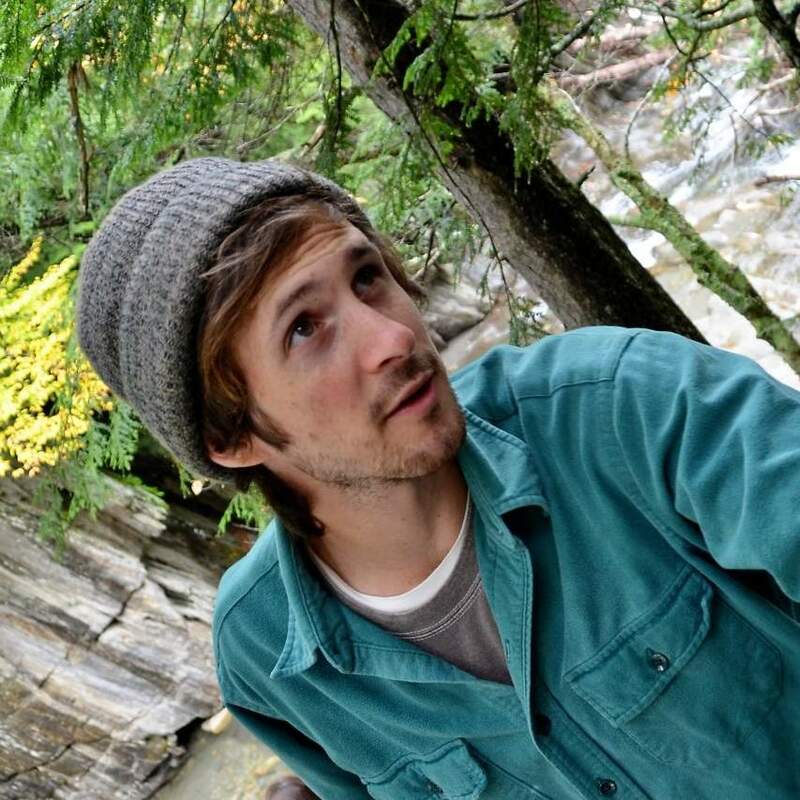 Six years ago, after attending a NOFA conference, Joe Bossen was inspired with a new idea. He wanted to start a business that was not so much profit driven, as it was a “nourishing experience”. That’s where Vermont Bean Crafters Company came into play. 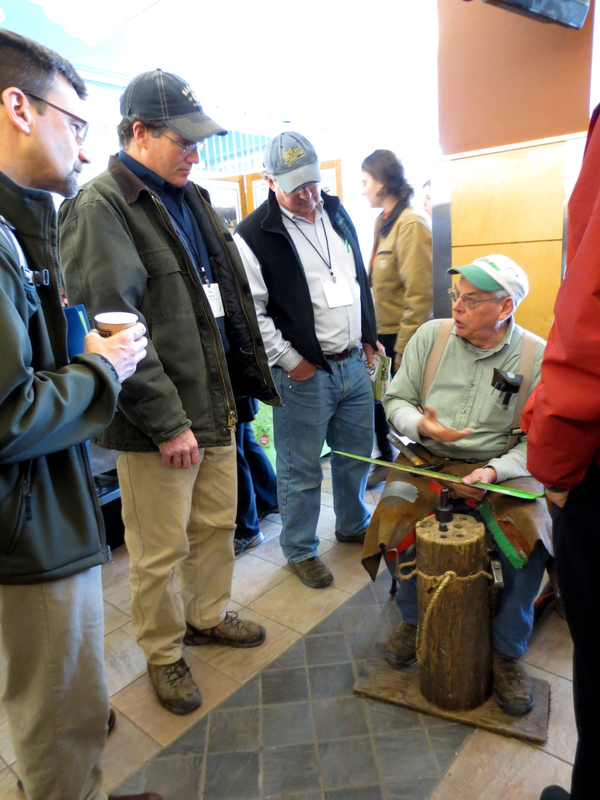 This time, at the 2013 NOFA Winter Conference, Bossen was the one providing in the inspiration in his TED style speech, where he explained how Vermont Bean Crafters Co. is the combination of passion and innovation working together to fill a void in Vermont’s agricultural community. At VBC, they choose what products to create based on a) what’s being consumed, b) what’s being poorly executed, and c) what’s available locally. From this framework, they’ve developed tasty, local products, including veggie burgers, refried beans and falafels. In addition to increasing the availability of local products to the community, Bossen believes that the schools are also in need of more nutritious, local foods. So in spring of 2012, Bean Crafters teamed up with Burlington High School and created Falafel Fest, where they provided white bean and chickpea falafel samples to the students, which was a major hit. “You can’t just put new inputs into a broken system,” Bossen explain. “You have to get kids excited about it”. This idea can resonate throughout the entire Vermont food system – providing a local option isn’t enough to make a change, you have to motivate people to be on board. Bean Crafters, and other local agriculture businesses have the responsibility to “be activists and create this type of culture,” where we “re-imagine daily reality”. Bossen stresses the amount of untapped potential in agriculture, reminding us how much we can do with just one simple product, like Bean Crafter’s does with beans, in order to create this new food revolution. He reminds us to “think about inputs over outputs, and quality over quality,” and continuously strive to innovate and grow both as individuals and as a community. Scout Proft, owner of Someday Farm. On a long dirt road in remote East Dorset, Vermont lies Someday Farm, a diversified farm stand that is 25 years in the making. But Someday Farm is more than just a farm – it is also one of the thriving community supported agriculture (CSA) connected farms in the state. 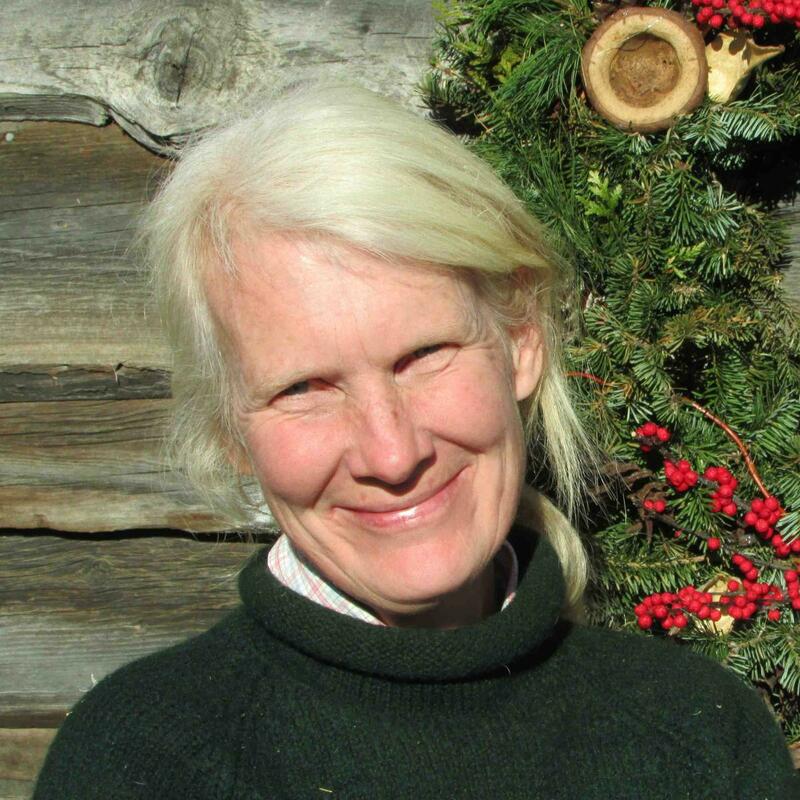 Scout Proft, one of the owners of Someday Farm, was one of the scheduled speakers for the TED style talks at the NOFA-VT Winter Conference, but was unable to make it. However, Maria Reed, a Someday Farm partner, stepped in for Proft and delivered an awesome speech that was both educational and inspirational. “Scout and I have determined we were separated at birth,” Reed joked, as she began to dive into the passions that she and Proft share for farming and innovation. I found Reed’s description of what innovation means to Someday Farm and why they do it to be the most meaningful piece of the presentation, and would like to highlight a few key areas that I think can resonate with farmers throughout the state. 1. Maximize land usage and increase productivity. -They strive to use each building to its full potential, for example, using the sugarhouse to dry herbs in the summer when it’s not being used for sugar. -Consistently growing new crops and adding new livestock to see what works. For example, they started with green beans, and have since added bib lettuce and mesclun greens (previously uncommon in Vermont! ), asparagus, bees, chickens, and more. 3. For educational purposes. “We view education as a product; a service we can provide to the community”. -Have hosted and trained young people for 20 years now. Organic vs. Contential Milk: Is There a Big Difference? While attending the NOFA winter conference, I noticed that much of the conversations that were being held were about the most effective way for small farmers to reach their desired audience. Recently The American Academy of Pediatrics conducted a study that looked more in depth about organic foods and what food is worth buying organic. When parents are shopping for food whether it be at a grocery store chain, local farm stand, or co-op they want to purchase the food that will have a positive impact on their families. So when choosing between the conventional options and the organic labeled foods parents that can afford the organic foods are more than likely reaching for those choices. The American Academy of Pediatrics (AAP) recently conducted a study about the advantages and disadvantages of purchasing organic foods for children. On average the cost of these foods are about 10 to 40 percent higher than the non-organic foods and in the case of purchasing organic milk there seems to be little difference. With a high dependency on the cows daily diet and the scale of the farming operation raw milk could have higher rates of antioxidants which is a positive for small children and families. However the report claims that there is no evidence of ‘clinical relevant difference’ between organic milk and conventional milk. It’s not all doom and gloom surrounding organic foods and if they have a better effectiveness than conventional foods. When incorporating organic food the study found that a significantly lower percentage of pesticides were found in children who ate organic foods. These low levels can contribute to a healthier immune system and the ability for children to have a greater chance fighting off sicknesses and disease. Other bright news, organic foods will not have the high costs forever! With the rise in oil prices things like pesticides and herbicides will become more costly to farmers, which could allow for dropping organic prices. Along with the high costs of pesticides improvements in organic technologies will also lead to decreased costs for consumers. Most would think that the actual planting, growing, and harvesting process is the hardest part for many small local farmers. However, that seems to be the easier part when it comes to trying to distribute and sell these fresh, local products. There seems to be a slight disconnect between the farmers, their products, and the consumers who want and love these locally produced goods. 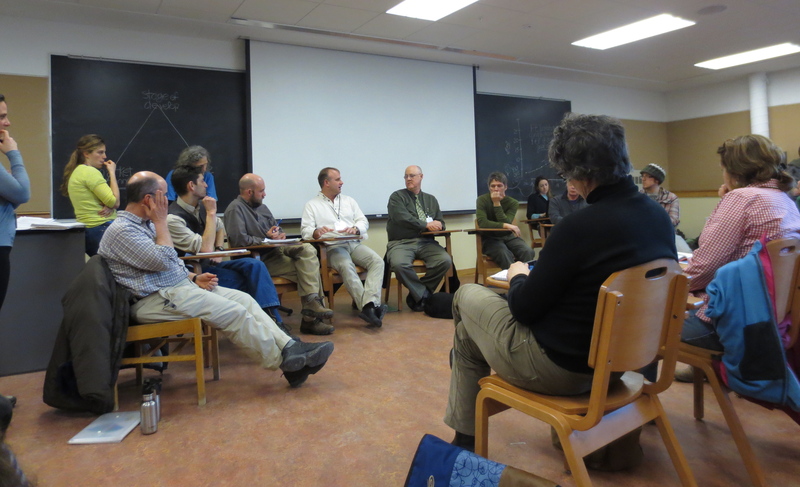 This problem was recognized and addressed at the recently held Northeast Organic Farming Association of Vermont winter conference. In a classroom setting farmers were able to gather valuable information from a professional on how to most effectively market their farm products to consumers. One issue that seemed to be a major problem from the consumer side was not realizing that ‘organic’ and ‘local’ do not mean the same thing. Consumers just assume that if something was grown local than that must mean it is organic. This leaves consumers wondering why they are paying so much more for ‘organic’ so they choose to not support local. This was a big point that the farmers should really take the time and educate their customers on the difference. Another big talking point at the workshop was the understanding of whom the farmers are selling to and what are their average customer’s demographics. For example, the main motivator for parents when buying organic food is they are trying to provide healthy options for their family as much as possible. It was discussed that this could be a great selling point and some farmers did admit that once they started posting recipes using the food they were selling either at a farmers market or food stand it had a positive impact on sales. As a non-farmer in a room full of farmers I began to realize that they were unaware of how great their product actually was, they almost took the high quality of their products for granted. Consumers are not used to buying the freshest products from a place like price chopper however once the realization is made that fresh food is at their fingertips I think the conversion would be a easy one to make for the consumer. Upon entering the 2013 NOFA Winter Conference, a pleasant aroma of earthy fragrances greeted me at the door. Fascination took hold of me, as I comprehended the organic sanctuary before me. As a NOFA Conference newbie, I attended with an open mind (and palate), and a desire to immerse myself in the world of agriculture and localvores. A range of foodies milling about boasted a generous diversity of farmers, college students, localvores, gardeners, and scientists, all breathing inspiration. Behind the heaps of the Carhart, flannels, and my personal favorite, scruffy faced attendees, an underlying connection buzzed among conversations and demonstrations. A passion for innovation and sustainability, with a hunger for knowledge. Among this crowd of curious individuals, each person contributed their own unique form of expertise to the NOFA experience. A space created for researchers to bridge the gap with a vegetable farmer, or a homesteader to learn the tricks of the trade from a pro was truly a beautiful thing. 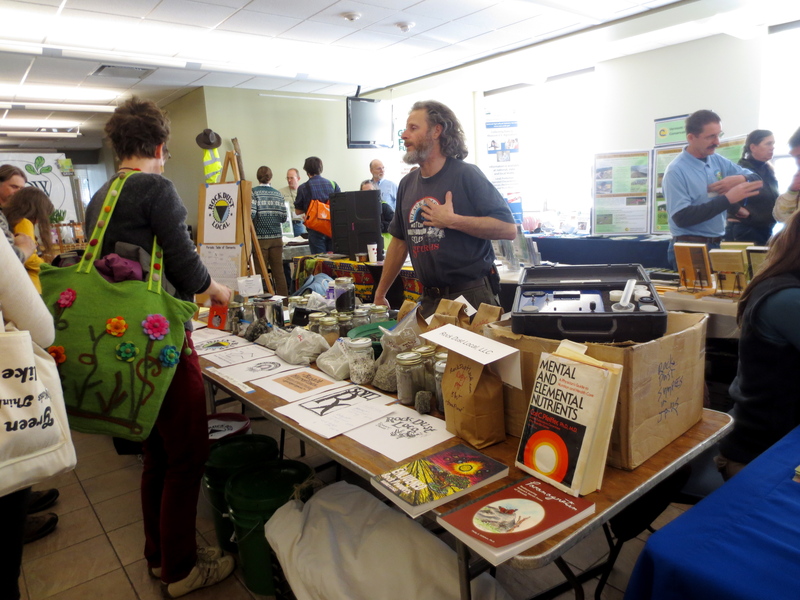 Business owners mingled with inquisitive locals, including the owners of CowPots, a business that makes plantable pots out of composted cow manure. With the entire family present, they nearly convinced me to join the family business on a trip to the field of cowpies. Lunchtime once again activated my senses with the hearty local tastes of steamy Sheppard’s pie and unique flavors of white bean cassoulet. The meal would not have been complete without a round of apple crisp to satisfy my sweet tooth. Sitting amongst new and old friends, toes tapped to the “soulgrass” tunes of guitar strumming, box drumming group Rootybagas. Attendees enjoyed a warm lunch atmosphere with few moments of silence. A conference bursting with scents, sounds, flavors and most importantly dialogue.